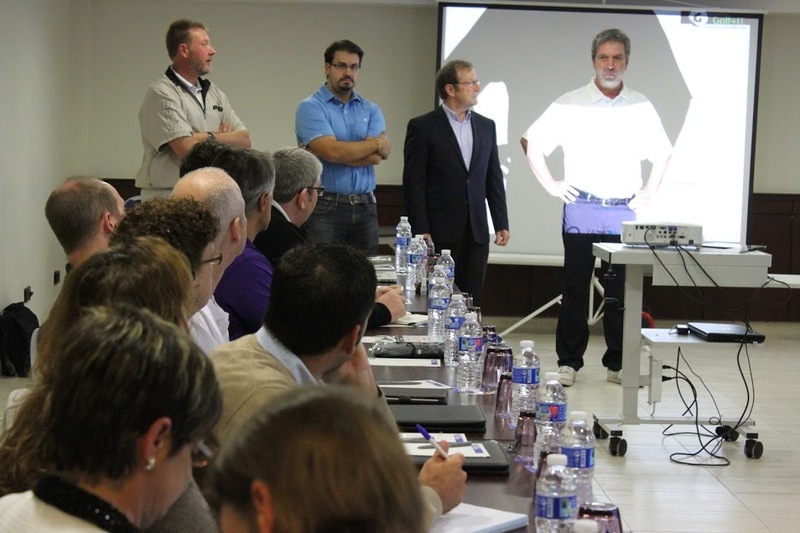 The first European Chapter Meeting was held at Mallorca, Spain on the 27th and 28th of November, 2015. 35 attendees from Spain, France, Italy, UK and Germany met in Las Palmas to share their experience in clubmaking/clubfitting and to make professional contacts. A lot of fun but also a lot work was waiting for the members. Perfectly organized by our Spanish clubmakers Agustin Sanchez (Clubmaker of the Year 2015 Europe) and Miki Rapado (ICG Advisory BOD), the conference started with a round of golf at Real Golf Bendinat. Saturday was a 12 hour working day with morning presentations about putter fitting and technical equipment. In the afternoon there were presentations of products and services by our meeting sponsors Amara Golf Foresight, Science & Motion, Gripgolf, Grindworks, Trackman and ICG Sponsors Accra Golf and Big Fish Golf . The conference finished with roundtables discussing shared interests professionals from different countries. The next chapter meeting in 2016 will be enriched with workshops and breakout sessions to give the professionals the possibility to discuss topics in depth – one day was just too short to cover all needs. So look forward to a 2-3 day meeting perhaps in the United Kingdom. Reporting from Europe - Agustin Sanchez (ICG BOD member) and Gerald Friz (ICG Europe VP). Pictured from left to right are ICG Member Ian McGuinness, Miki Rapado (ICG Advisory BOD and ICG 2016 European COY) Agustin Sanchez (ICG 2015 European COY, and Gerald Friz.